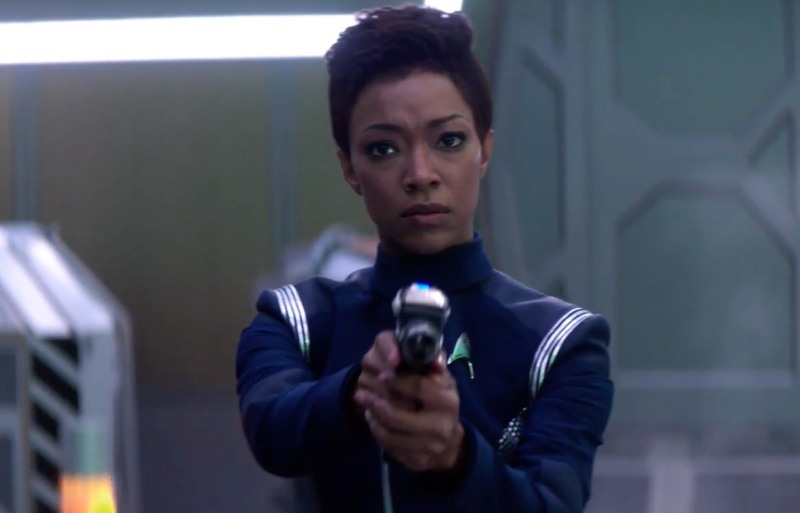 Enlarge / Discovery lead Sonequa Martin-Green as Starfleet officer Michael Burnham. Star Trek: Discovery has been renewed for a third season, Variety reports. Additionally, there will be a small shift in the show’s leadership. Current writer and producer Michelle Paradise will be promoted to co-executive producer, running the show alongside Alex Kurtzman. Michelle joined us midway through season two and energized the room with her ferocious knowledge of Trek. Her grasp of character and story detail, her drive, and her focus have already become essential in ensuring the Trek legacy, and her fresh perspective always keeps us looking forward. I’m proud to say Michelle and I are officially running Star Trek: Discovery together. Kurtzman took over the show during season two after the previous showrunners departed amidst some workplace controversy. He previously co-wrote the 2009 Star Trek movie reboot directed by J.J. Abrams. Before that, he was a writer and producer on Alias, Hercules: The Legendary Journeys, Xena: Warrior Princess, Fringe, and a number of CBS broadcast procedurals like Hawaii Five-0, Limitless, and Scorpion. Paradise previously created the MTV series Exes & Ohs, worked as a writer on CW series Hart of Dixie, and was an executive producer for The Originals, also on the CW. Discovery has seen a great deal of turnover in leadership since it was first announced, though that’s not irregular for Hollywood. To date, CBS has considered the show a success for its All Access subscription service. In fact, the network has announced plans for several new Star Trek series that will air alongside it in the coming months and years, including a spinoff about Michelle Yeoh’s Georgiou character and Federation secret spy agency Section 31, a post-Voyager series focused on Patrick Stewart as The Next Generation‘s Captain Picard, and an animated comedy titled Lower Decks—not to be confused with the decidedly not-hilarious The Next Generation episode of the same name. The massive success of Star Trek: Discovery‘s second-season launch exceeded our expectations in both driving subscriber growth and generating a phenomenal response from Star Trek fans. With Alex Kurtzman and Michelle Paradise at the helm, we look forward to continuing Star Trek: Discovery‘s journey, growing the Star Trek franchise on CBS All Access and bringing fans new Star Trek stories for many years to come. CBS has not set a premiere date for the third season. Disclosure: The writer of this article worked at CBS on CBS All Access and other initiatives related to the early development of Star Trek: Discovery briefly in 2015.